Bass Bow Quiver, hand cut, hand stitched and finished. 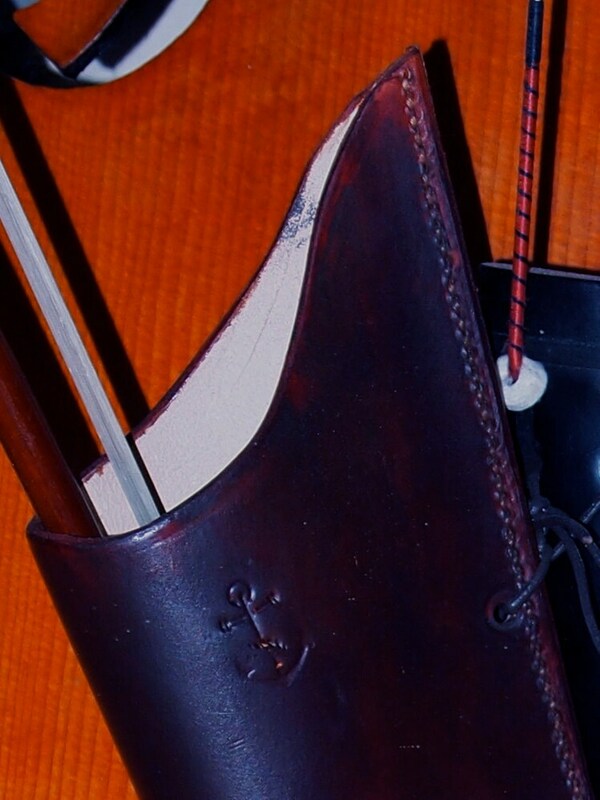 2mm Veg Tanned shoulder leather provides stiffness and protection to your bow. This bow quiver is, as with all my items, made with the same care and precision as all my items. Good quality quivers are not easy to find and I believe that this one is superior to many other mass produced items. 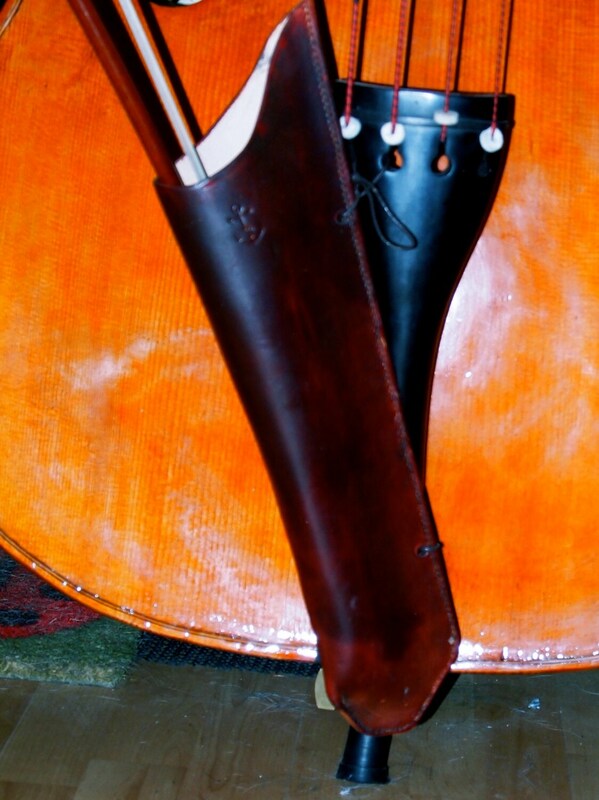 Secured using waxed leather cord, or straps and buckles it sits out of the way on the double bass when not in use. James, my musician/luthier son (www.mawkin.co.uk) has just completed a commision for a double bass. He had spent ages looking for a good quality Bow Quiver for it and, frustrated, asked me to make one. The quiver offered here is the result. 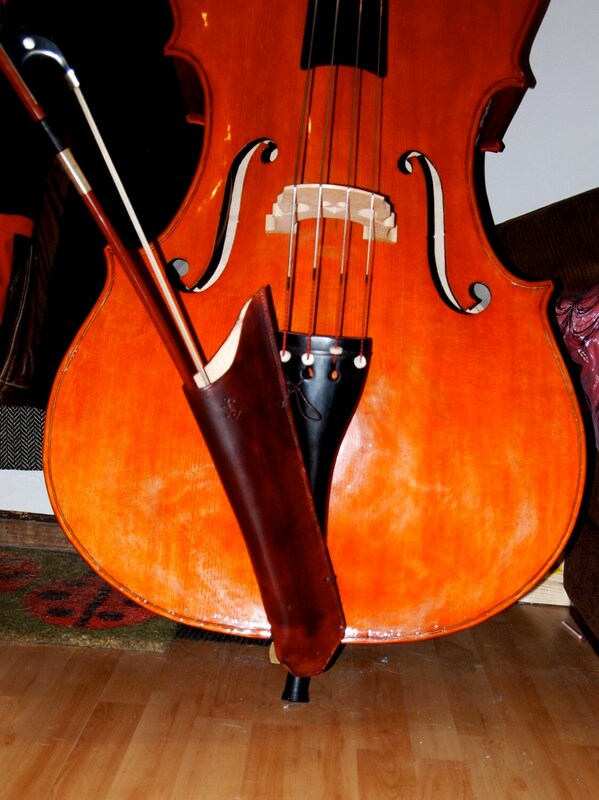 Note, the double bass is not included in the sale, but James will make you one for between £8000 and £10,000! I wonder if I would get any commision? I am happy to make a regular quiver for archery, the shape is very similar, just get in touch with your requirements for a quote.